One of the more common questions I receive is: Can Revive Adserver do geotargeting? The short version of the answer is: Yes. For the more complete answer, first I’ll describe what geotargeting is and then I’ll explain how to enable and use geotargeting. Geotargeting is a technique that uses the IP address of the computer used by a visitor of your site to look up the geographic location of that visitor. This location can then be used to target ads. This means you can instruct your Revive Adserver to display an ad only to US visitors, for example, or to everyone except visitors from the US and Canada. So the word geotargeting is a combination of geographic and targeting. How do I enable geotargeting in Revive Adserver? The Revive Adserver software is capable of geotargeting out of the box, but the feature is disabled by default since many people don’t need it. Some might not even be aware that it exists. Log in as an administrator user and switch to “Working as Administrator” if needed. Click the “Configuration” tab at the top of the screen. Click the “Geotargeting Settings” link in the menu on the left. Following the steps above will enable the feature in Revive Adserver to do geotargeting by country. It’s also possible to target smaller, more specific areas, but to do that the geotargeting feature will have to be configured with more detailed settings. When someone visits a web page and sends an ad request to Revive Adserver, that request will always contain the IP address of the visitor. In a massive look up table that’s created by companies like MaxMind, that IP address is then used to pin point the appropriate entry where the location information like country name, city name or DMA code can be found. In OpenX, a banner can be geotargeted, which means that the banner will only be displayed when the visitor is in a specific country or city, for instance. How do I use geotargeting in Revive Adserver? Go to the banner you want to geotarget. Click the “Delivery Options” tab of the banner. Just below the preview of the banner, from the list called “Add delivery limitation:” select the entry called “Geo – Country” and click the “Add” button. Revive Adserver will now display the element where you can select in which country or countries the banner should be displayed. Scroll through the list of countries and select the countries you want from the list by enabling the check box in front of the country names. Don’t forget to click the “Save Changes” button when you’re ready. Is geotargeting by state or city also possible? The Revive Adserver that can be downloaded shipped with a copy of the free Country look up file produced by a company called MaxMind. This company also produces a free lookup file for geotargeting by city, but there are also more accurate and more detailed paid lookup files available from their website. Log in on Revive Adserver as an administrator and switch to “Working as administrator” if needed. Click the “Plugins” tab at the top of the screen”. In the list of plugins, find the “openXMaxMindGeoIP” plugin, and click the ‘Details’ link for this plugin. In the screen that follows, click the “Settings” link on the right hand side of the screen. You now see a screen where you can specify the path of the various geotargeting look up files. You must enter the full path on the server, and you must make sure to use the same lower and upper case characters that are in the file and folder names. Once you’ve done this, the relevant new geographic options will be presented on the “Delivery Options” screen of any banner. 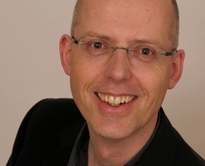 Erik Geurts is an independent Revive Adserver consultant with over 15 years of hands-on experience. He’s also one of the founders and Managing Director of Aqua Platform, a leading Revive Adserver hosting company.